Such great ideas. I’m going to start implementing them. Scheduling Facebook and Twitter the night before would ensure they happen. 🙂 Love your blog. 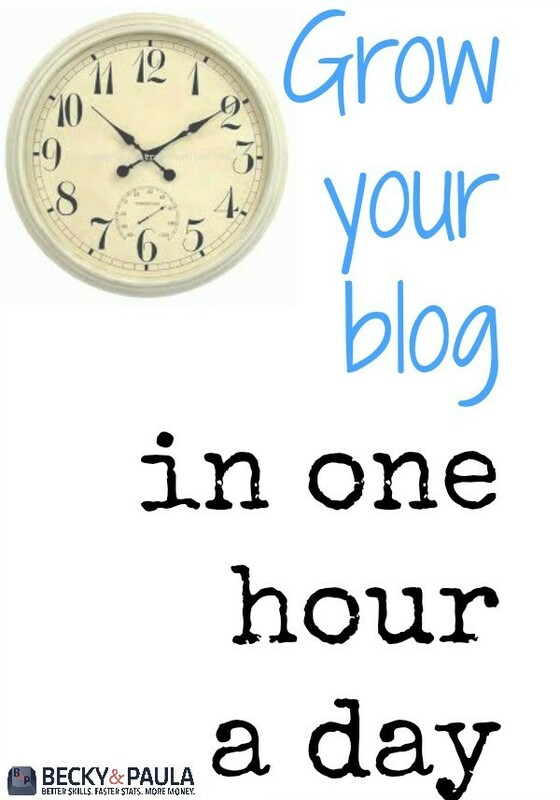 Can you write a post on how to schedule FB posts. I have tried and failed to fighure that one out! I already do a lot of those things, but it always takes me longer than an hour a day. The reason why… Facebook.. :)I always seem to get sidetracked with great articles and ideas on my newsfeed, and that darn candy crush. Janine- when you go to your page (on FB) and you write your status, there should be a little clock under your status. You just click the date & time and hit schedule. That’s all there is to it. Mine used to not work, but in the past few months it does. If yours isn’t working, it could just be FB, unfortunately. I’ve heard that it works for some & not for others. Great tips and tricks! I’m visiting from Tennessee Bloggers Link Up and look forward to following you. And… I just realized that Danielle from Snippets is on here! I love the blogging world! Betsy @ Happily Ever After Etc. I am struggling with Facebook posts, I know how to schedule them but I’m just not sure how many to schedule! Right now I’m doing one a day… from your post that’s hella low. What’s the benefit of more posts? Should I be doing more each day? So confused! Thank you! Thank you! And, Thank You again! I have been wondering what to use to schedule posts, etc for my blog! I am so happy I read this! I’ve recently started scheduling my Facebook posts through Facebook and I definitely get more engagement when compared to using Buffer. Thanks for sharing the “How to Schedule a FB Page Share” video. I’m watching it now!